The highly successful 2017-18 Sunland Park racing season concluded on Tuesday. Here are the leading horsemen for the season. Henry Dominguez claimed the leading Thoroughbred Trainer’s title with a powerful late surge in the final two months. Dominguez won 39 races leading trainers like Justin Evans, Susan Arnett, Miguel Hernandez and Todd Fincher. The Dominguez stable netted nearly $900,000 through the 72 day meet. His horses won at an 18 per cent clip. Todd Fincher led trainer earnings with nearly $1.5 million in production. Fincher saddled Runaway Ghost to victories in the $800,000 Sunland Derby (Gr. III) and $100,000 Riley Allison Derby. Alfredo Juarez, Jr. claimed his first Sunland Park Thoroughbred rider’s title with 71 wins. One of his many highlights came win the $150,000 Sunland Park Handicap when he rode the impressive Oh So Regal to a wire to wire victory. Alfredo’s mounts earned over $1.5 million during the season. Once again, Judge Lanier Racing led by Tom and Sandy McKenna were the dominant Thoroughbred owners at Sunland Park. The leading ownership group won 34 races and earned nearly $700,000. Their star runner Oh So Regal broke the track record for 9 furlongs in the Sunland Park Handicap. They also own Sphene, the promising runner-up in the Sunland Park Handicap. Wes Giles collected another Sunland Park leading Quarter Horse trainer’s title. His precocious two-year-old Zee James won the $396,412 New Mexican Spring Futurity. Manuel Gutierrez enjoyed a monster campaign as the runaway leader in the Quarter Horse jockey standings. Gutierrez won 22 times from 113 mounts for a 19 percent clip. His mounts earned over a half million dollars. 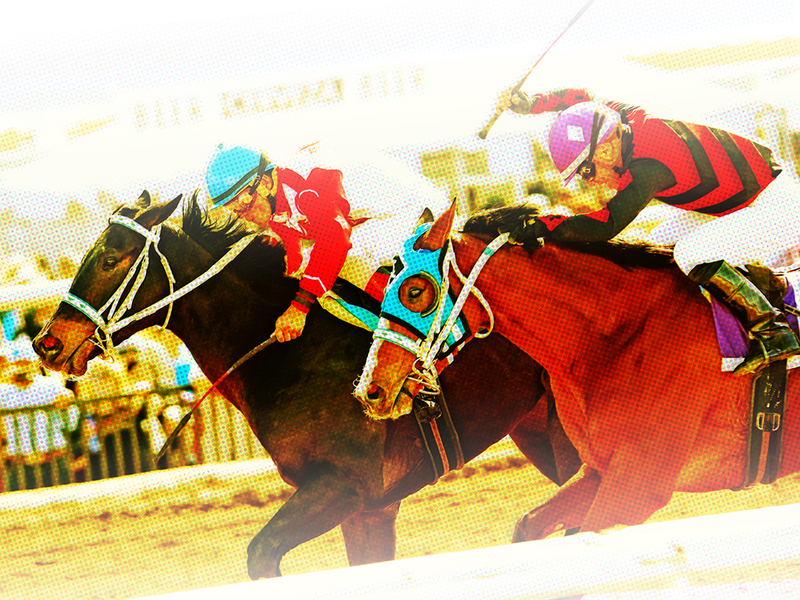 His richest victory came in the $350,000 Championship at Sunland Park (Gr. I). The Sunland Park riding title was the first for the world class pilot. Diamond Racing Stables were the leading Quarter Horse owners.